A proud Catholic community of service, committed to the Lord and to all those who call upon us in need. 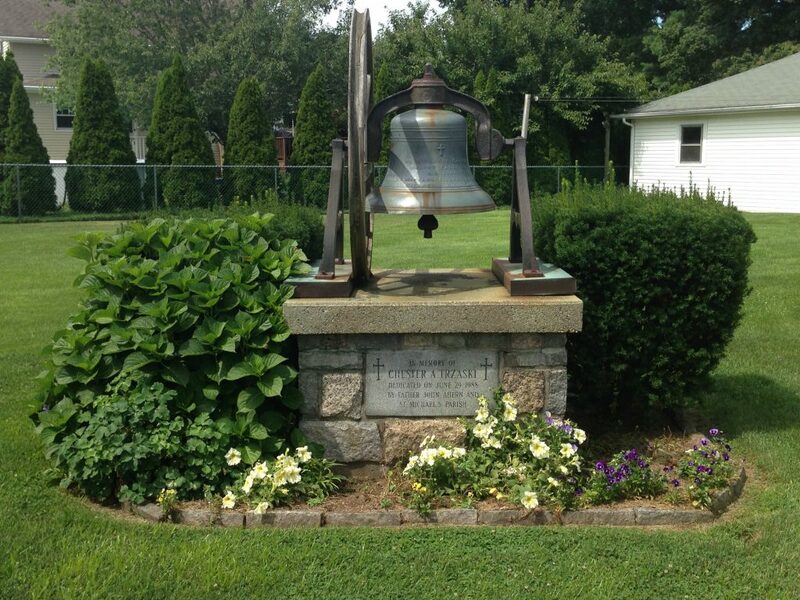 In 1885 the Beacon Falls area became a mission of St. Augustine Church in Seymour, the pastor was Father Richard Gragan. A white wood-framed church was erected on the corner of Church and Main Streets, and was named in honor of St. Michael the Archangel. The cornerstone was laid on November 19, 1899. Father Michael Rigney celebrated the first Mass there on Christmas Day. St. Michael Church was dedicated by Bishop Michael Tierney on March 11, 1900. St. Michael Church was elevated to full parish status on November 15, 1924 by Bishop John J. Nilan, with Father Jeremiah J. McAuliffe named as the first resident pastor. In 1930, Father Henry Coleman became pastor and four years later, he purchased a residence with an adjacent tract of land on Maple Avenue for use as a Rectory and future church site. In 1935, Father Francis C. Higgins was named third pastor. He remained until 1938, when Father Jerome T. Cook was appointed. Under the fourth pastor, the downtown church property was sold to the state of Connecticut for new highway construction. From September 28, 1941 until June 21, 1942, Sunday masses were celebrated at the former theater on Main Street. Construction began on the new church on October 12, 1941. Bishop Maurice F. McAuliffe blessed the cornerstone of the new St. Michael Church with the first Mass being celebrated on June 26, 1942. The church interior remained unfinished for many years because of wartime economic austerity. Father John J. Sobolewski was appointed our fifth pastor on March 19, 1954. Within two years of Father Sobolewski’s assignment, the entire church interior was beautifully appointed and furnished. Through a capital campaign, the parish-family furnished over $100,000 to complete the project. St. Michael was formally dedicated by Archbishop Henry J. O’Brien on June 24, 1956. In 1959 the Rev. Herbert J. Clarkin was appointed the first assistant pastor followed by Rev. John S. Ahern in 1964. After five years Rev. Roger E. LaTerreur became assistant pastor and remained at St. Michael until 1971 when Father John T. Moskus came to our parish. He left our parish in 1976 at the same time Father Sobolewski became pastor emeritus and Father John S. Ahern returned as our pastor. He undertook the task of updating the church nave and sanctuary. The restored church was officially rededicated by Archbishop John F. Whealon on December 7, 1980. Mr. Frank Krasnicki was the first man from St. Michael Parish to be ordained Deacon on December 11, 1981. Mr. Raymond Gosselin was ordained Deacon in 1985 and remained with us for three years. On February 10, 1989 Father Leonard J. Kvedas became the seventh pastor of Beacon Falls. Soon after his appointment he completed a project to install an accessibility ramp to the church, and has done much to promote a true Christian Community spirit, from maintaining the physical plant to tireless pastoral support in all liturgical areas. In August of that year Father James F. O’Dea, retired from St. Anthony Parish in Prospect, became a priest in residence at St. Michael and regularly assisted with weekday and weekend masses. In June of 2000, after 19 years with us, Deacon Frank was transferred to the Church of the Good Shepherd in Seymour. On August 26th, Deacon Victor Lembo was assigned to St. Michael from Holy Rosary Church, Ansonia. With his adeptness in pastoral, liturgical and church environmental work, he has done much to move our parish to a greater love and understanding of the liturgy. October 4th of that same year we mourned the loss of Father O’Dea. In the spring of 2002, a formal Building and Renovation Committee was established to study, assess and submit a comprehensive plan to renovate and update our church nave, narthex, lyceum and afford handicap accesses to both levels of the building. Through the “Gather Us In” capital campaign over $900,000 was realized for the project. The parish-family was able to celebrate this great accomplishment in conjunction with the 50th Anniversary of the Dedication of our current church building on June 25, 2006. Bishop Peter A. Rosazza, Auxiliary Bishop of Hartford, was the principal celebrant of the mass and blessed the ground of the new building site. 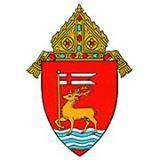 In June of 2017, the Archdiocese of Hartford under their plan to unify and condense parishes moved Father Kvedas to Derby and installed Father Matthai Vellappallil to oversee Saint Michael Church. Today the parish is comprised of about 900 families and continues to grow in number and spirit. The Parish and Financial Councils, Ladies Guild, Men’s Club, and numerous prayer groups are pillars of parish service. St. Stephen’s Ministry remains an important outreach program to the homebound, collecting and distributing food to our less fortunate residents. Many of our young people are brought closer to the Lord through our religious education program. From grades 1 through 10, our youth are nurtured and instructed by a dedicated staff of volunteer lay ministers. Adult education is sustained by our formal RCIA and Adult Confirmation programs. We are also blessed with several lay ministers of the Word and Holy Eucharist, a music ministry program, and have over 30 children and young adults serving at the altar of the Lord. St. Michael Parish is truly a proud Catholic Christian community of service, committed to the Lord and to all those who call upon us in need. All are urged to participate in the Ministries of Eucharist, Word, Server, Catechist, Music, and/or Usher-Greeter. Please contact the Church for information and referral. Donated by Idezyne, LLC. Contact the webmaster (Ben Catanzaro). Copyright © 2019 St. Michael Roman Catholic Church. All Rights Reserved.